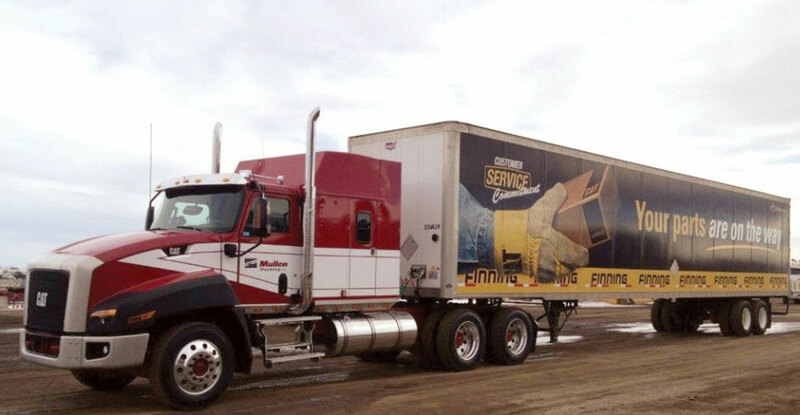 A surge in revenue from truckload freight hauling was enough to offset a downturn in oil field services for Canada’s Mullen Group, but the extra profits from trucking weren’t enough to salvage the company’s bottom line, which took a big hit in the first quarter. In a statement released April 25, Mullen Group said trucking revenue increased 14.7% to C$207.5 million in the three months ended March 31, a record for any quarter and enough to overcome a C$20 million drop in revenue from servicing oil and gas drilling equipment. Overall, revenue increased 2.5% to C$292.1 million in 2018 from C$284.9 million in 2017. Profits in the first quarter, however, plummeted with the Okotoks, Alberta-based company reporting net income of C$1.5 million, or 1 cent per share, in 2018 versus C$14.5 million, or 14 cents a share, in 2017. Mullen said the company will continue to focus on growing its trucking and logistics businesses, which benefited from acquisitions in the past year, along with increased revenue from fuel surcharges and higher rates. Over the past year, Mullen has acquired flatbed carrier RDK Transportation Co. in Saskatoon, Saskatchewan, and DWS Logistics, a warehousing and distribution firm based in Mississauga, Ontario. “It was a difficult quarter for our company,” Mullen said, adding that he is hopeful that ways can be found to encourage capital investment to return to Canada. “When this occurs, we will once again consider investing in the oil and gas services industry,” he said. Mullen Group ranks No. 58 on the Transport Topics Top 100 list of largest for-hire carriers in North America.